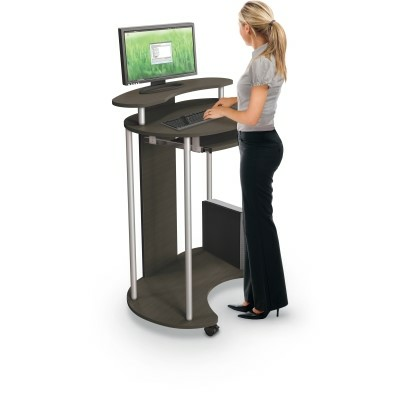 The Up-Rite Standing Mobile Workstation is a simple solution to your standing workstation needs. 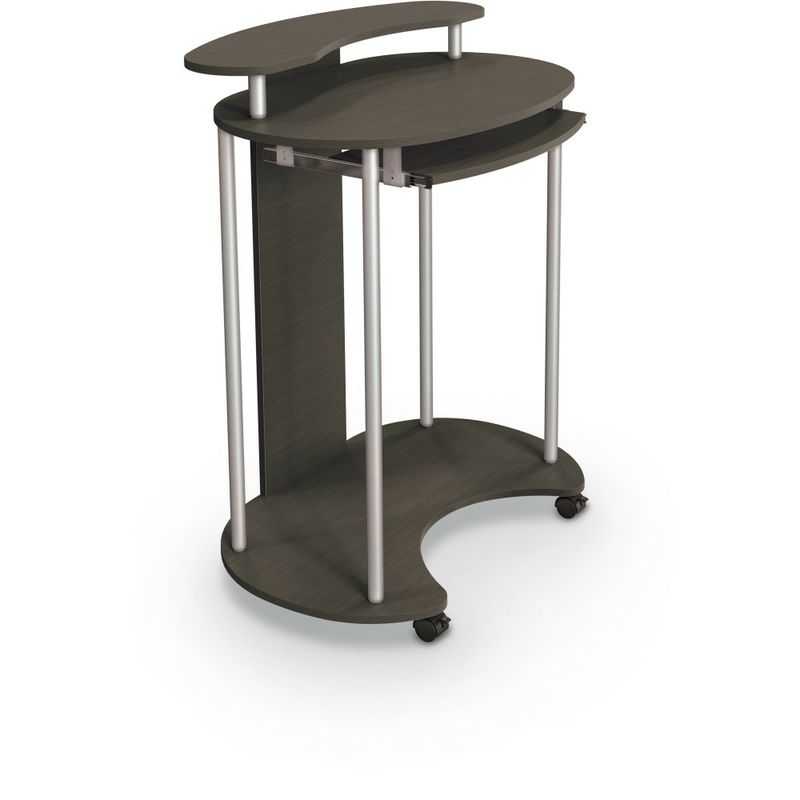 Smoked Sapelle laminate top and side panels with stylish silver support posts. Ergonomic cut outs allow a comfortable user experience. Includes retractable keyboard shelf and bottom shelf for CPU or other equipment storage. Clamp Mount Outlet & USB Charger provides instant desktop power and charging accessibility.